Smart Allergy Friendly Education: SunButter For ALL! FOR REAL!! SunButter For ALL! FOR REAL!! 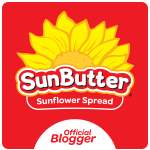 Would you enjoy a FREE jar of SunButter? How about the chance to win a $500 Amazon Gift Card? Whether you are new to their products or a passionate fan already, you will LOVE this giveaway! 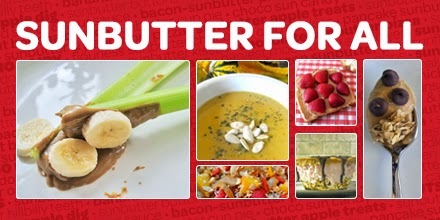 All SunButter wants to SEE is HOW YOU are ENJOYING this awesome peanut-free, tree-nut free spread. 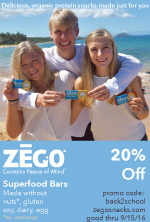 Homemade cookies, topping for celery and apples, on the go snack packs, delicious smoothies? Sounds almost too good to be true, but IT'S NOT. 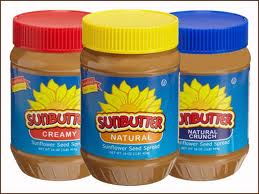 1) Visit their Facebook Page by clicking here: SunButter FB Page and post your PIC or VIDEO of how you ENJOY SunButter. My kids will love sending in a pic or video. 2) Complete the FORM found on their Facebook page to get your FREE jar (YES - FREE, I said). 3) Start to plan on how you're going to use your next FREE jar when it arrives! How much longer to you have to enter this awesome giveaway? Well, from today, 22 DAYS! That's a LOT of time to share with any friends and family you think would enjoy being a part of this giveaway!